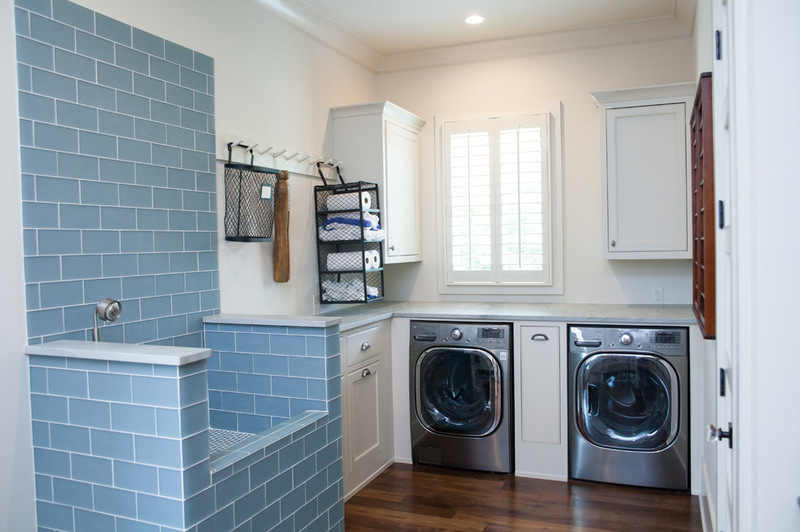 Are you thinking about adding a laundry room or perhaps re-vamping your existing laundry room? In the following article, there are some great examples of laundry rooms which service more than just laundry. The picture to the left also doubles as a dog washing/grooming area. Click on the link below to view many more ideas . Posted in accessories, appliances, build your own, dog grooming, Grooming, home improvement, home improvement projects, Home improvements, investment, laundry rooms, pet safety, pets, poodles, real estate, Real Estate, realestate, renovations and tagged advice, do-it-yourself, dogs, home improvements, laundry, laundry room remodel, laundry rooms, real estate. Bookmark the permalink. WHAT DID I FORGET TO CHOOSE FOR MY NEW HOME? An upgrade #5 carpet with a #2 pad. Some extra telephone and TV outlets. The den option with the double door entry. The list goes on and on. You have just completed the upgrade selection for your new home and feel pretty good about it. The option list given to you from the builder’s design center looked thorough enough, and you just plowed through it, choosing everything from flooring, to plumbing to electrical enhancements. Once the builder has started on the house, he informs you that it is too late to make changes, except at a big non-refundable expense. Your builder has budgeted out his costs and everything has been ordered. But are there any upgrade choices the builder’s representative didn’t present because you forgot to ask about it? It seems as if this is every home buyer’s worst fear when selection time is over. Suddenly all kinds of advice and new ideas come pouring out from well-meaning friends and relatives. If you have exceeded the cut-off times for adding anything more to the house at this point, there isn’t too much you can do. This advice, then, is for those thinking of going down that home buying path, but haven’t made their final decisions on upgrades. There always seem to be some upgrades and enhancements that can be added to your list that the builder may not offer you because, although they may be available, the builder does not have them as standard, pre-priced options. The most common items I can think of that get overlooked by buyers and design center personnel alike are items that aren’t visually evident in the home. A biggie is insulation. Ask your builder about the thickness of the insulation they use in walls and between floors. If noisy living areas are not far from bedrooms, you may want to inquire about upgraded insulation to muffle the sound. Insulation is also important to energy efficiency. Is the new home a model of energy efficiency, or is there more that you can do through the builder to improve it? What exposure is your new home? If one side of the home will experience brutal sun exposure, is there something you can do to add tinted or higher grade windows to that side, such as triple paned or the new “low-e squared” glass? What about more doors to the backyard, or a French door off the master to a deck or balcony? When asked, builders may be willing to add them or at least put in headers over windows that can be used for door openings later on, when the “hole in you pocket” syndrome is behind you. And then there are what we in the industry lovingly call “pre-plumbs” and “pre-wires”. These are builder preparations for systems you intend to install later on. Pre-plumbs can be stubs for gas log-lighters in your fireplace, Jacuzzi tubs, central vacuüm systems, or a utility sink to your laundry room or garage, to name a few. They remain as behind-the-wall goodies you can use when you wish to add the full system later on. Pre-wires are for electrical enhancements for later on. An extra garage door opener, speaker wire in your family room ceiling, an intercom, or a security system. Some buyers don’t think in terms of “extras” with some items they choose and regret it later on. A larger fireplace, more burners on the cook top, extra cabinets in the laundry room, more fans in bathroom areas, more security lights in the backyard, and even an outlet for Christmas lights in a place you don’t have to risk life and limb to get to, for instance. Although new home builders have finally started to offer extra “flat work” (extra concrete for walkways or patios) to buyers, design center personnel may not be the experts in suggesting or designing it, so it may be something you have to inquire about. It’s not that the builders don’t want to make more money by permitting you to add these things; they sometimes don’t present them as part of their normal option package. What happens, all too often, however, is that by the time a buyer thinks of adding them, it’s too late in the construction process. There are few buyers I have met that haven’t thought of something they would have added when choosing their options and upgrades, if they had the chance to do it over again. My advice would be to become the squeaky wheel when you are about to make these important decisions. Ask the sales person to give you examples of what others in the neighborhood have chosen for their new homes that isn’t evident on the builders’ standard option list. Then make a list of all the “behind the walls” additions you may want to opt for to take with you on that confusing, but exciting trip to the design center. Posted in acreage for horses, Air conditioning, Alachua property, appliances, build your own, build your own home, Buying a home, contract negotiations, Contracts, do-it-yourself, for sale, For Sale By Owner, forsale, Gainesville, High Spring home, High Springs for sale, home buying, home improvement, home improvement projects, Home improvements, home inspection, home safety, homes, homes for sale, homes with acreage, house hunting, investment, purchase a home, real estate, real estate investment, realestate, Realtor, refinancing, selling a home, vacant land, vacant land for sale, Value and tagged advice, air conditioning, Alachua homes for sale, buying a home, condos for sale, do-it-yourself, Florida, Florida Real Estate, for sale, For Sale By Owner, Gainesville, Gainesville homes, Gainesville real estate, home buying, home improvements, homes, homes for sale, real estate, real estate in Gainesville, real estate investment, save, vacant land, vacant lant to build on. Bookmark the permalink. SHOULD YOU PURCHASE A MODEL HOME? Is buying a model home such a great idea? Yes, sometimes … and sometimes no. Model homes are, of course, professional decorated with all of the trappings that lure prospective buyers just like yourself. They also contain extras like professional landscaping, wood floors, shelves, perhaps a converted garage for a game room. These are the extras that make you want to buy a home just like it. The problem is that the value of the model exceeds the non-models, which don’t contain any of these extras. The garage is a garage, the front yard is bare, the shelves aren’t there and the wood floors are vinyl. The big question is: Are you going to have to pay big bucks for the extras in this model home? That depends on market conditions. Depending upon market conditions, the builder may or not may not choose to pass those expenses along to the buyer. But, as with any other home purchase, take off your rose-colored glasses when you’re considering a model home. You’ll need to find out some background information on the builder. Is the company reputable? Do you have any friends or family members who own homes constructed by this builder, and if so, would they advise you to buy or to run fast? Even if the builder has a good reputation in your area, the model home you’re considering may be a “test model”. In other words, the home may be the first plan of its kind for the builder. The company may have tried new construction techniques or features in this model home that they’ve never experimented with before, and if so, you’ve got to consider that those “experiments” may or may not have been wise decisions. While you’re touring the model home, you, as a prospective buyer, should hold it to the highest standards of quality. Scrutinize details, such as cabinet construction. For example, are cabinets crooked? Open and close the doors to make sure that they do, indeed, open and shut. Do you notice any shelves that slope down the wall slightly? These are signs of sloppy and hasty construction, and they should be red flags that this is not a wise purchase, no matter how low that builder is willing to go. You’d also to be wise to consider that the home you’re considering is, in many aspects, a “used” home. Many people have walked on the carpeting, tracking in dirt and mud; the wood and linoleum floors may be scuffed or chipped; the paint covering the walls may be scuffed; and the air conditioner or heating unit may be broken after being on nearly 24 hours a day during open houses. Keep in mind that some open houses have been open not for months, but for years, meaning that the home may be exhibiting signs of damage that only a very careful inspection could reveal. As you walk throughout the model home, keep a running list of any signs of disrepair you spot. Talk to the builder about these items, and determine his or her willingness to negotiate the cost of their repair. The builder may offer to cover some of the repairs and not others — for example, offering to have the carpet professionally cleaned, but the job of repainting the walls would be left up to you. Before you sign anything, ask to see warranties for all appliances included in the home — air conditioner and heater, refrigerator, washer and dryer, security system, etc. And perhaps even more important, find out when the builder’s warranties expire for construction. This is critical because some builders offer workmanship warranties that begin upon the conclusion of construction, not from the date of purchase. If the model home has been open for years, and then you purchase it, you may be covered by the workmanship warranty for a mere month before it expires. Attempt to negotiate with the builder if the warranty started at the end of construction. Again, if market conditions have slowed considerably in the area and the builder wants to sell the home badly enough, you may be able to hammer out a mutually agreeable deal. And, of course, before you sign on the dotted line, ask yourself if you’re buying impulsively — based on those fancy drapes, that white carpeting and the new-paint smell. Have you done your homework about the local school system? The neighborhood in which the home is located? What this new home would mean for your daily commute to work? All of those factors have a profound effect on your family’s quality of life. If everything meets to your satisfaction, you just may have found the home of your dreams. If not, then you’ve saved yourself from an impulse buy that could have tied you and your family to a money pit. Consider yourself a smart shopper, and keep house-hunting. When you’re shopping, look for the bright yellow “ENERGY STAR” label. This easy-to-spot label is your assurance that you’re looking at a Department of Energy/Environmental Protection Agency-approved and endorsed home appliance that will save you considerable money in utility bills as you save energy. 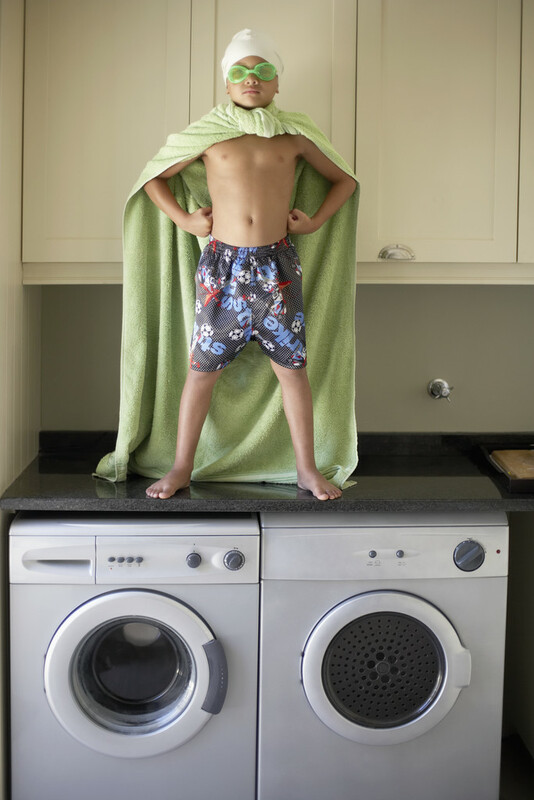 ENERGY STAR appliances actually use less water and electricity to do the same job. These appliances are made of technologically superior, higher quality materials than many of their competitors. That’s one primary reason why you may pay more up front for these products, although that’s not a general assumption you can make. The EPA and Department of Energy (DOE) maintain that the vast majority of ENERGY STAR products — including VCRs, televisions, computers, printers and more — do not cost consumers any more than their less energy-efficient counterparts. ENERGY STAR-labeled heating and cooling appliances, however, are likely to run you more up front. The annual savings you’ll enjoy for those products, however, have been estimated as much as 15 percent to 40 percent, so your investment in such products is a wise one. The EPA and DOE estimate that ENERGY STAR products can save you as much as $400 each year in utility bills. You’ll find ENERGY STAR labels on the most commonly purchased home appliances: refrigerators, lighting, computers, televisions, clothes washers, dishwashers and air conditioning units. You’ll even spot them on some new homes. The label is considered a selling point in the new construction residential market. (Other home appliances, including clothes dryers, water heaters and microwaves, have not yet been stamped with ENERGY STAR labels; however, the United States Department of Energy offers tips on its own Web site for making energy-efficient selections when purchasing those products.) More than 3,400 ENERGY STAR-labeled products among 25 product categories are currently on the market. Appliances earn the ENERGY STAR label by meeting minimum standards established by the government. The appliances have been subjected to tests to determine their degree of energy efficiency, and those that successfully meet those standards will receive an ENERGY STAR rating. Some appliances will exceed minimum standards more so than other products; it depends upon the product and the availability of technology. Collectively, all ENERGY STAR products utilize the most advanced technology available today. While you might be skeptical over your ability to reap long-term savings from ENERGY STAR appliances, study that yellow label more closely. The label posts two prices: not only the cost of the appliance itself, but also the cost of operating the appliance each month for as long as you own the appliance. You’re probably going to see on these yellow labels monthly rates lower than you might expect. So any additional cost that you face up front for purchasing an ENERGY STAR appliance will be more than compensated later in terms of your monthly savings. If that appliance across the showroom floor is tempting you — a lower-priced dishwasher without an ENERGY STAR label — you might be surprised how much you’re going to pay to operate it each month. Unfortunately, that’s a monthly charge you’re not going to see posted on the product. Ignorance is bliss … until you receive your first utility bill. And speaking of utilities, call your local utility provider to find out if they offer rebates for ENERGY STAR appliances; many of them do. It appears that national consumer awareness of the importance of energy-efficient products is growing. A recent survey conducted by the American Council for an Energy-Efficient Economy (ACEEE) found that consumers do recognize the ENERGY STAR label and are making purchases based on the presence of that label. Some 80 percent of the consumers who responded to the survey said they recognized the ENERGY STAR label, and 43 percent said the presence of the label influenced their purchasing decision. Approximately 94 percent of respondents said they firmly believed that ENERGY STAR products cut back on energy consumption, and another 82 percent said they believed such products helped protect the environment. Perhaps not surprising was the survey’s finding that the most commonly purchased ENERGY STAR product among the national consumer base was the home computer, followed by refrigerators, computer monitors and washing machines. Posted in advice, appliances and tagged Business, Efficient energy use, Energy, EnergyStar, Home appliance, Technology, United States Department of Energy, United States Environmental Protection Agency. Bookmark the permalink.